THE TWENTY-SEVENTH DAY OF JANUARY IN THE YEAR OF GRACE TWO THOUSAND AND SIXTEEN. LIFE-GIVING — Although often more commentary than translation, Eugene Peterson’s paraphrase of the New Testament titled The Message is excellent writing that often informs and inspires nonetheless. Consider this snippet based on the first two verses of the twelfth chapter of Paul’s message to the Romans. So heres what I want you to do, God helping you: Take your everyday, ordinary life  your sleeping, eating, going-to-work, and walking-around life–and place it before God as an offering. Embracing what God does for you is the best thing you can do for him. Dont become so well- adjusted to your culture that you fit into it without even thinking. Instead, fix your attention on God. Youll be changed from the inside out. Readily recognize what he wants from you, and quickly respond to it. Unlike the culture around you, always dragging you down to its level of immaturity, God brings the best out of you, develops well-formed maturity in you (Romans 12:1-2, Message). Now retired and heavily engaged in gospel outreach in countries hostile to Christianity, Sam was formerly a Texas appellate judge. MOST CONVINCING — “The Fire That Consumes is one of the most convincing cases ever offered in the history of controversial theology, a juggernaut of biblical exegesis that simply crushes any alternative. Written by a man who eventually became a successful lawyer, the book presents an actual argument reasoned carefully and plainly from evidence. Such a phenomenon is not to be taken for granted in theology.” — John G. Stackhouse Jr.
John Stackhouse was trained in history and religious studies at Queens University, Ontario (BA, First Class Honors), Wheaton College Graduate School in Illinois (MA, with Highest Honors), and The University of Chicago (PhD). 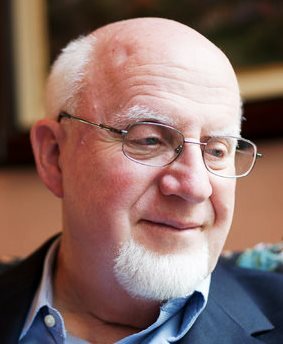 He replaced J. I. Packer as Professor of Theology and Culture at Regent College, Vancouver, B.C., and now serves as Professor of Religious Studies and Dean of Faculty Development at Crandall University in New Brunswick. Stackhouse has authored or edited a dozen books and written over 600 articles, book chapters, and reviews in academic publications, major newspapers, and magazines.